Home / For Business / Which Box Should I Use for Small Business Shipping? Which Box Should I Use for Small Business Shipping? The right box protects your products — and reduces shipping costs. Whether you sell on eBay and Etsy or you deliver out of a brick-and-mortar store, every small business owner knows how important it is to manage your overhead costs. After all, the average small business spends over $4,000 a year on USPS postage alone. With a few easy modifications, it’s possible to trim shipping costs without having to sacrifice the quality of your packaging (or its branded appeal among customers). Choosing appropriately sized boxes is crucial. Every carrier from USPS to FedEx has size limitations for packaging in place — and generally will charge higher prices for larger, heavier shipments. For example, a Priority Mail package with USPS has a maximum size of one cubic foot: 12” x 12” x 12”. Anything over those dimensions — even by an inch — can cost you up to three times the price of regulation-sized packages. That means that every inch counts when you’re trying to ship a product. Save money by finding shipping boxes that fit your product without adding unnecessary space and weight to the equation. Returns are an inevitable part of e-commerce sales — but that doesn’t mean you shouldn’t do everything in your power to avoid them! With sturdy boxes, your products will be better protected during transit, increasing the likelihood that they arrive in mint condition. Otherwise, you’ll be footing the bill for an expensive reverse logistics process. Paper Mart offers a wide variety of boxes, tubes, envelopes, and packaging options. 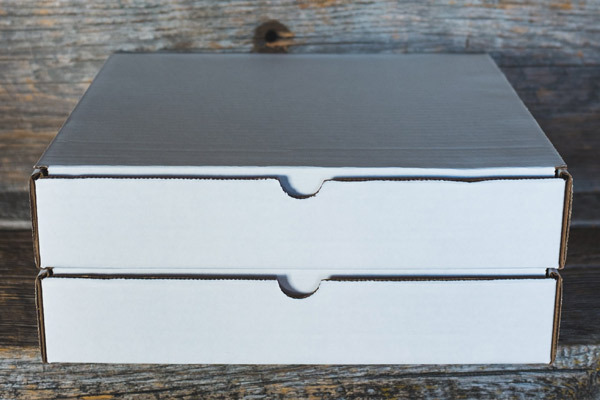 For inexpensive, high-quality alternatives, consider our corrugated shipping boxes, which are well-suited for your heaviest items. Our mailing tubes are also ideal for artwork and blueprints. You could even try easy fold boxes — simply fold them to the depth you need! The best box in the world won’t protect your products if you haven’t lined your shipment with proper packaging materials. With bubble wrap and foam fill, your items will be safe from the turbulence of shipping. Make sure you use heavy-duty packing tape — Scotch tape certainly won’t hold up during transit — as well as shipping labels that can add a branded, customizable look to your packaging. Here’s the bottom line: you should choose the packaging materials that will best protect your products and ensure safe delivery to their final destination — but you don’t need to go into the red to offer quality packaging to your customers! Shop Paper Mart’s extensive line of shipping products today. Thank you or pointing out that you need to make sure your products are packaged well. Finding the best shipping tubes seems very important. Hopefully, people look into finding the best containers possible. Hi! Do you ship overseas? Australia if possible? Sorry, but we do not ship internationally, US and Canada only. However, customers overseas will use freight forwarders, meaning we can deliver to a freight forwarder in the US, and they can ship to you from there. If you are interested in setting this up, please contact our team directly at (800)745-8800 M-F 6AM – 5PM PST. Thank you!